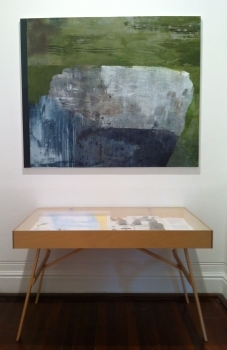 Fremantle Arts Centre, Fremantle Western Australia This work was part of a group exhibition. 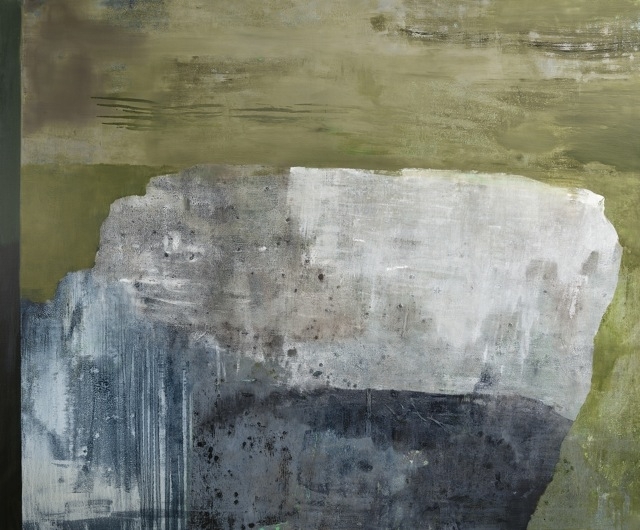 In this work Darbyshire explored the role of 'imagining history' in her paintings, through her interest in the historical site that is found on Garden Island; the site of Captain James Stirling's first, temporary settlement in WA in 1829. Garden Island has been given 4 names, all of which tell a story of its history: Meandip Yondock (Noongar), L'Ile Buache (1803- after Jean Nicolas Buache, a marine cartographer in Paris), Sulphur Town (1829 - refers to HMS Sulphur the boat that accompanied Stirling) and Garden Island, named by Stirling in 1829 (possibly influenced by botanist James Drummond who was convinced that the soil was suitable for planting). Garden Island is currently difficult to access as it is under the protection of the Australian Navy. Jo acknowledges much of her knowledge has come from the work of Dr Shane Burke, Senior Lecturer, School of Arts & Sciences, The University of Notre Dame, Fremantle and his Archeology student Trent Hamersley who has mapped, and continues to map and interpret, this important site. There is a dilemma in making information about the site available to the public given the possible resulting destruction of the historical site and souveniring of material from the Island. These paintings attempt to explore some of the ideas about the early settlement and its current invisibile status in local and national history. 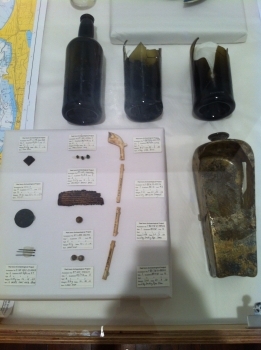 Jo included a display table showinig items from the Clarence settlement, a settlement on the mainland at the same time, from which similar items have been found. These include common black bottles used for carrying alcohol, then carrying water and finally used as target practice with shot. Jo and Shane Burke both gave papers as part of the Public Programme around Horizon on Saturday 22 November 2014.